We have been lucky enough to talk to Nicolas Lietzau, the Project Lead on the development team and find out some of the obstacles, challenges and milestones they have faced. You began development even before the release of Skyrim, did you have an idea in your mind following the release of your previous mod ‘Nehrim’? Not really. Truth be told, after Nehrim we were fairly certain we’d never do something comparable again, simply because it had been so much work. However, once Skyrim’s release closed in (and we had had some time to “recover”), it pretty quickly become apparent that we didn’t want Nehrim to be our last project. 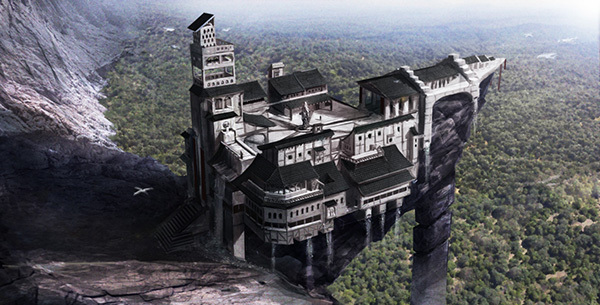 The first concepts of Enderal were created around September ‘11, two months prior to the release of Skyrim. So what was the inspiration for Enderal? That’s hard to pin down - even though we always had a fairly clear idea of what we wanted Enderal to “feel” like, the game grew into what it is today over the course of the development. Story wise, we actually drew a lot of our initial inspiration from the writings of C. G. Jung, strange as it may sound. For Enderal as a game, we simply wanted to create a game which we would like to play ourselves. As challenging as non-commercial development is, the creative freedom it grants you is priceless. Can you tell us a little bit regarding the story arc of the game (without giving away any spoilers)? 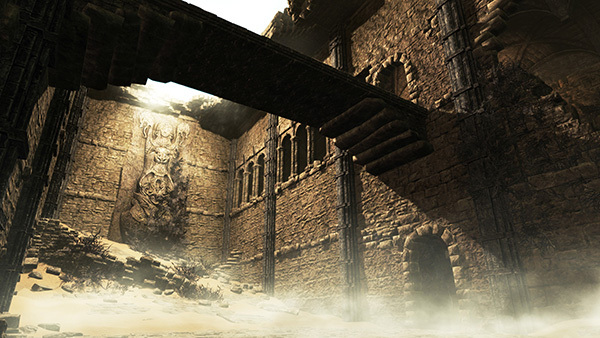 The story of Enderal takes place two and a half years after the events of Nehrim. For an unknown reason, wars have started erupting all over the world and a peculiar mental illness called the “Red Madness” has started infesting the minds of man and animal alike, causing them to become extremely violent. The player is a refugee from the civil war tearing apart the southern parts of Nehrim. Haunted by strange and disturbing nightmares connected to his past, he (or she) is looking to start a new life on Enderal, one of the few countries still at relative peace. After some peculiar things happen, he begins to get involved in the “Holy Order” - the order who rules Enderal, who, with the supposed death of their gods, are themselves torn apart internally - searching for the reasons behind the Red Madness. Will the races from within Nehrim (the Alemanne, Normanne, Half-Aeterna, Aeterna and Star people) be making a return and which ones will be playable within the game? Only the Half-Aeterna. The other three available races are Half-Qyrean, Half-Kiléan and Half-Arazalean. You have a team of 14 people involved in the development process, where have they been based and how have you managed to organise those involved? Actually, the core-team was even smaller - there were only 7 people who were in the team from the very beginning until the end though, we gained some very dedicated and loyal members with the Alpha. Most of us are located in Germany (around Munich), whereas two of us are from the States, and one of our artists is from Italy. Since we were so small, we did not have to spend as much time managing the team as larger teams do. We held daily contact via Skype (or, for those in Munich, in person) and yearly team meetings, where we met for a drink and discussed the process. We also had detailed project schedules (particularly for the localization) and game design documents, such as an art bible, a GDD, or a level design bible, but due to the noncommercial nature of our project , we had to compromise more often than we would have liked to - it’s really hard to plan properly when team members suddenly disappear, something the core team had to make up for with hard work. Could you tell us a little bit about who is on your team? We’re quite the diverse group - while most of us are between 22-30 yrs, of age, we have people of many age spectrums and nationalities. And while our individual motivations for why we have invested and still invest so much time of our lives in Enderal are different, I daresay that what we all have in common is our love of creating memorable, one-of-a-kind experiences with as little means as possible. There were so many people who kept on telling us that doing something as ambitious as Enderal is impossible, that it would never see the light of day (and, of course, that our work is rubbish), that at one point, we had all developed this insane drive to prove them wrong. But all in all, we mainly did what we did because, despite all the challenges, we enjoyed it. What about day jobs, what do you guys do for a living? What did you find the most enjoyable part of creating a mod that is the equivalent (in fact superior) to many a AAA title? For me, it was definitely the creative freedom. A lot we did in Enderal, particularly story-wise, could be considered “experimental”, and - while there certainly are exceptions! -, I’m not sure these scenes would have been greenlit in a commercial production. What tools did you use in the creation of Enderal? Apart from the Creation Kit (Shock of shocks :-)), we used 3DSMax, Blender, Photoshop, Substance Designer, the Quixel Suite, Articy Draft, Cubase, Audition and a lot of precious community-made tools such as NifSkope, NifMerge, BSAExtractor, MultiXWM and many, many more. Huge thanks to all the devs of these! What has been the hardest part of the development process and how did you overcome them? Definitely the volatility of the team outside of our core group. While the modding community is full of amazing, talented and dedicated people, there are also a lot of people who, for whatever reason, don’t stick to their commitments. Planning a massive project like that without having any means of “motivating” people to finish what they started was a nightmare and the main reason we had to cut out so much content. 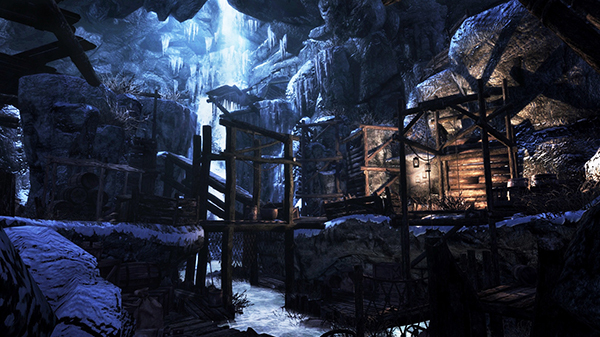 What do you think will be the most appealing parts of Enderal for players of Skyrim? That’s hard to say. I personally enjoy the feeling of the story (which couldn’t be more different from Skyrim), as well as the overhauled game-play and the versatility of the landscapes. Being a huge fan of tropical settings, I always loved the idea of exploring a tropical coast in a game like Skyrim. In Enderal, players can do that: We have European forests, heathlands, frosty mountains, deserts and a lot more. How will Enderal differ from Skyrim and Nehrim? Again, that’s hard to say. Even though we hope that people who loved Skyrim will enjoy Enderal as much, the two games provide for two very different experiences. Compared to Nehrim, Enderal definitely has a different feel to it’s narrative - while both of the games dealt with “heavy” themes, Enderal is by far more polished and mature in many aspects. What both Nehrim and Enderal have in common, is the - as we hope - compelling game world and the detailed level design. Once released, do you have any plans on adding more additional content to the mod or will you begin thinking towards your next project? We’ll see. Right now there’s still an entire quest-line which needs more QA and will be added soon after the German release. We will definitely fix bugs, but we’re also involved in other (non-SureAI) projects which require a great deal of our time after Enderal is out. Do you have any advice for the aspiring mod authors of today on how they should get started? Good question! Firstly, be ambitious, yet realistic. Many mods don’t ever see the light of day simply because they are too massive. Secondly, try to be respectful and stick to your promises. I can’t stress the latter enough. How can fans help you now or in the future? Enderal is expected to release in German between the 1-3rd July. When should we expect the English version? Soon after that! We’re still editing and implementing voices, but the localization is close to completion. Just know that we’re not holding anything back on purpose. Thank you so much for taking the time out and answering our questions, especially so close to the release of the mod. Certainly exciting times. We here at NexusMods wish the mod exceptional success. You can grab the German Pre-Load for Enderal here on NexusMods... The English version will follow shortly. as awesome as endereal to look at, im not gonna harp about it. im a mod addict myself but trutj be told, i dont like effin big mods. my net just cant download such awesomness. and thats the reason. my net cant download things bigger than a hundred megabyte. not knocking on the authors but as i said, the thing is awesome but im not gonna play it because of limitation. good job to the authors though. Why did I not find this sooner. This game looks amazing, I really hope the word gets spread far and wide. If only I knew German I could play it now. Will Enderal conflict with any mods I have Installed? Or does it launch from a completely different launcher than Skyrim and not be affected by Skyrim? I don't know because I have heard many different rumors about the mod. Quick question, do I need to own a copy of Skyrim to play Enderal? Yes its a Mod for Skyrim and is using the engine and some of the files. You should consider changing the name. Enderal is so close to the name of a blood pressure med called Inderal that I started out with a negative attitude. when I first saw it. Yep, after 5 years of work they are going to change the name after the already released it. Excuse my ignorance. Is this an expansion of Skyrim or a stand alone? 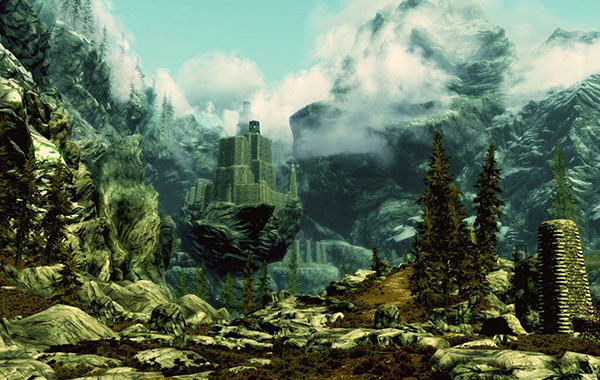 That is to say, can our Skyrim characters and followers travel there or will we be making new characters? This is completely standalone. It has its own worldspace, lore etc. There are 2 companions which you meet during the main quest and which have their own background and questline. For further informations i recommend you to check out the Enderal Preload (German) Mod here on the Nexus. There are plenty of informations about the game etc. written in english. Is it an entirely new Main "Character" like the Dragonborn? A regular adventurer? Very interesting looking title. I have it downloaded so when the English version is released I will definitely give it a devoted play through. It is a new game, new story (well a continued story from their Oblivion chapter called Nehrim) and new adventures. Nehrim was brilliant so I expect this to be as good. I was really skeptic.. but after watching a gameplay video on YouTube.. within the first ten minutes I feel in love. I really hope the English version is as good as the German version, because the voice acting is top notch! All you have to do is look up the original chapter Nehrim which used the Oblivion engine. That was incredible so there is no reason why this shouldn't be as well. Nope. You didn't understand what was written. This is not a mod. It is a new game using the Skyrim engine and resources. You will have to start a new character. For those that keep referring this to a mod, it's not a mod. It's a different game using the engine Skyrim was built on. It uses assets from Skyrim and modders but this game is unrelated to Skyrim completely. If it was a mod it would require Skyrim as a dependency, but it doesn't. Pretty sure you do need skyrim in order to play it however. It may not be dependent on it but it still does a check for it I believe. Yep, it does but it has no effect in Skyrim. Not needing skyrim.esm doesn't mean it's not a mod - you'll still need the base executables and assets or Skyrim wouldn't even be mentioned.